Jay Meschke has over 25 years of experience in the talent management field. Mr. Meschke is currently the President of CBIZ Talent & Compensation Solutions and EFL Associates and leads a nationwide organization that helps attract, retain, and develop C-Suite executives. During his career in the executive search field leading EFL Associates since 1992 and through its merger with CBIZ (a $1+ billion NYSE-listed professional services firm) in 2008, Mr. Meschke has achieved milestones that place him in the top 1% of all executive search consultants nationwide. He has completed more than 700 successful senior-level search assignments in multiple industries and functionalities across the US. Routinely sought after as a subject matter expert in the field of talent management, Mr. Meschke has been quoted in numerous publications including The Wall Street Journal, US News & World Report, CNN.com, Fortune.com, MSNBC.com, Entrepreneur Magazine, Human Resource Executive, and Business Week. Mr. Meschke has also been a guest speaker for distinguished groups such as the National Association of Corporate Directors, the Society of Corporate Secretaries, Game on Business Talk Radio, and the Society for Human Resource Management. 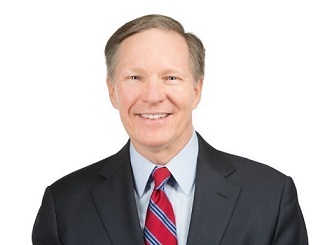 Prior to his career in talent management, Mr. Meschke had over a decade of experience in the banking industry as President, Chief Lending Officer, and Corporate Banking Officer in banks ranging from a de novo community banking start up to a $20+ billion commercial banking institution now part of Bank of America. Highly active in civic and philanthropic pursuits, Mr. Meschke served as Chair of KCPT Public Television, the University of Kansas School of Business Board of Advisors, and the Shawnee Mission Educational Foundation. Mr. Meschke was an instructor for the Kauffman Foundation’s FastTrac Entrepreneur’s Program and continues to serve on the boards of the University of Kansas School of Business, Shawnee Mission Medical Center Foundation, and the Enterprise Center of Johnson Country. Mr. Meschke has an MBA in Finance & Marketing and a BS in Business Administration from the University of Kansas. As an aligned Senior Advisor, Mr. Meschke assists Star Mountain Capital with strategic advice on its own team development as well as helping to analyze and optimize Star Mountain’s portfolio company management teams.